Putting the "Best" back in to Man's Best Friend, Pups United takes you on a four-legged live action adventure in a furry quest to rescue the World Cup. The movie features the voice talents of comedian Rob Schneider. Win a round-trip, four night stay at The Shores Resort & Spa in Daytona Beach, FL., a $500 VISA gift card and your own copy of Pups United on DVD, which includes a behind-the-scenes featurette and Miniscule bonus episodes in this one-of-a-kind sweepstakes offer. 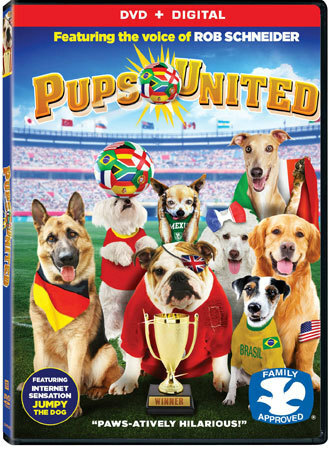 Pups United is now available on DVD! Did you enter the contest? Comment below and let us know. Good luck!